It is quite common for individuals not to take a trip to the dentist if they are not noticing any problems in their oral health. Only when they chip a tooth, get bleeding gums, have severe toothaches, have someone complain about their bad breath, have their faces noticeably deformed due to crooked teeth, or when no one gets captivated by their smiles anymore, then would they finally pay their dentist a visit and hope for a quick miracle. These can be avoided if people give their mouths some Preventive Dental Care in Lincoln, CA. And if the negligence has already taken its toll, then hope is not to be thrown away since there is cosmetic dentistry that would fix these oral health problems. Among the best service providers of Dental Care in Sterling Parkway Lincoln, CA is Tooth Spa Dentistry. If nothing has happened to people’s teeth yet or they are starting to notice some changes that are worth the concern, or if they are already thinking about coming to the dentist, well here are reasons why they should already act on that inkling. Of course, who wants to get sick? People are sensitive and keen on avoiding diseases like flu, infections, cancer, and many others think that these illnesses are a matter of concern everywhere else in the body except the mouth. Infections, cancer, and other diseases can occur in the mouth as well when it is poorly taken care of. With the mouth being the primary gateway for nutrition in people’s bodies, it would affect the individuals’ overall health if damaged. When people’s mouths suffer, their food intake, speech, breathing, and many other things also suffer. It is as well worth-reminding that the mouth is in the skull where very important organs are located – the brain, the eyes – and that it is part of the face. If pain and illness are not enough reasons for individuals to take care of their oral health, then perhaps looks would. It does not even necessarily mean that people should take care of their mouths for aesthetic purposes, but looking healthy and presentable matters. When teeth are not properly taken care of, it could have discoloration, get rotten, or fall off. Perhaps having yellow teeth is not too big of a reason not to smile but rotten and lost teeth may have individuals covering their mouths when smiling, laughing, and talking. How is that for a comfortable and happy life? If individuals are feeling constant pain and discomfort in their mouths, other aspects of their lives may also suffer. The distress could spread out to poor performance at work or at school, affect self-esteem, and cast a shadow on their perspective of life. Poor oral health could have everything in life go spiral down. 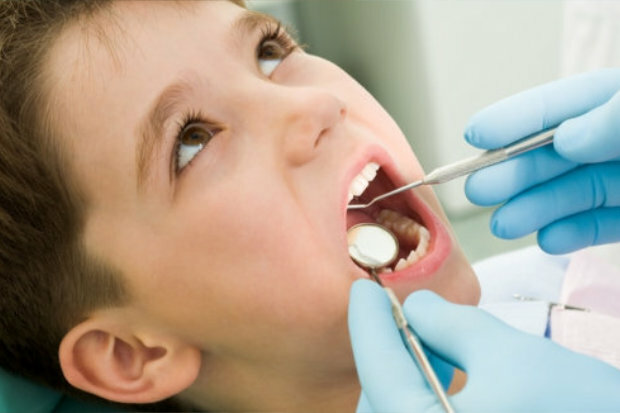 Before the worst happens, it is very important for people to take good care of their teeth. The more beautiful their smiles are, the more beautiful their lives would also be. This entry was posted in Dental Care and tagged cancer, Dentist, mouth, Oral Health, service providers. Bookmark the permalink.